Watching replays of your visitors going through your website can be extremely helpful. Sadly Google analytics does not provide such a feature – but Hotjar does. 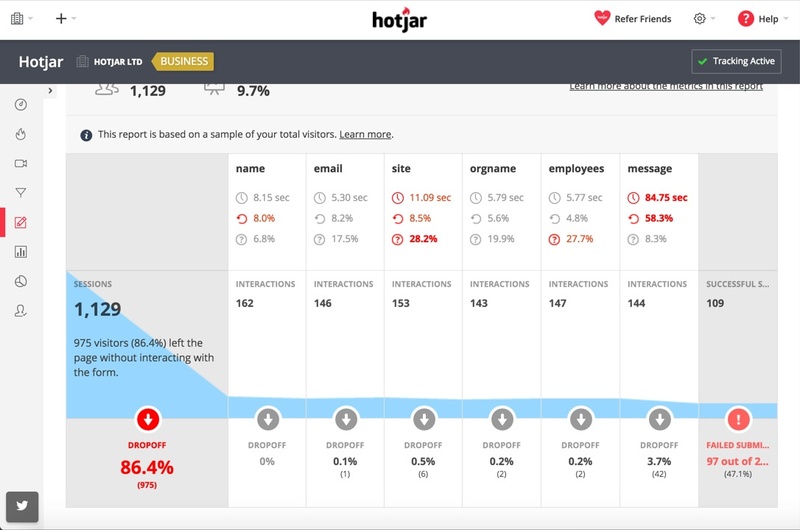 Hotjar is a user behavior analytic service for websites . It records the visitor’s interaction, collects heatmaps, creates feedback polls, conducts forms analysis and measures conversion funnels. With Hotjar you could learn how users interact with your site. Going through the records or heatmap you could spot key issues that Google analytics cannot. For example: For one of our clients we found out that 64% of the users do not scroll to the footer – so we moved the social icons to the header, in turn, the number of interactions increased. This is by far the best feature of Hotjar; being able to watch the replays of your website visitors. When a user lands on your website Hotjar starts recording their browser session – from mouse click to keyboard entries. Recordings on their own are not that helpful, which is why Hotjar also collects information such as the browser version, operating system, and device type. Watching the user recordings can inform so many site recommendations. 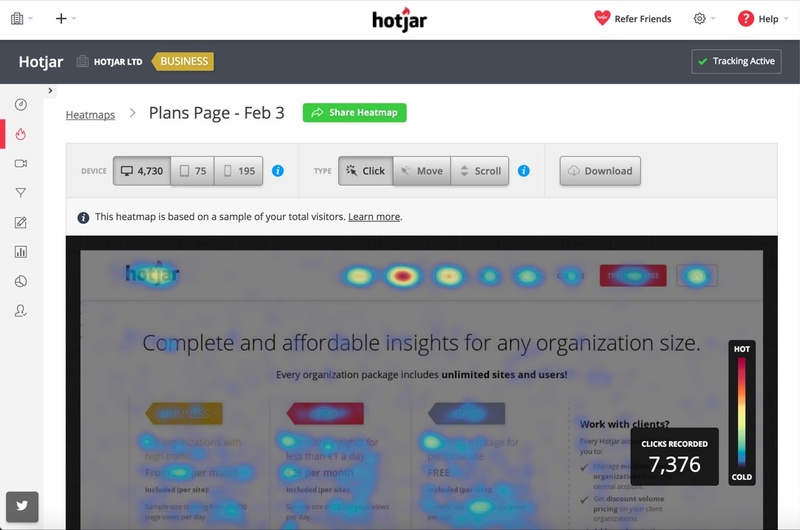 A heatmap is a screenshot of a website page highlighting user interactions – such as clicks and scrolls. Heatmaps are important for landing pages as it helps you to find out the which call to action results in a higher click and average scroll of a page. Sometimes your landing page is perfect but your form submission has a high drop-off. In order to find out why we first need to collect data. Hotjar’s ability to measure form submissions is extremely beneficial. It analyses the form submission rate in-depth, by displaying the interactions of fields, the fields which users leave blank and most important of all the fields which the number of times a specific field had data re-entered. In the example below, we could easily work out that 8% of users entered the name field again – and it is clear this form needs to be worked on since 86.4% is a huge drop-off. A user goes through a series of a page before turning into a lead on your website. Not all pages on a website are spotless but identifying the pages that cause a user to bounce is critical. This is where the Hotjar Conversion Funnel analysis shines. Hotjar allows you to create custom funnels by entering the URL pages. A website owner may want to know whether the page “Contact Us” or “About Us” results in a drop off. 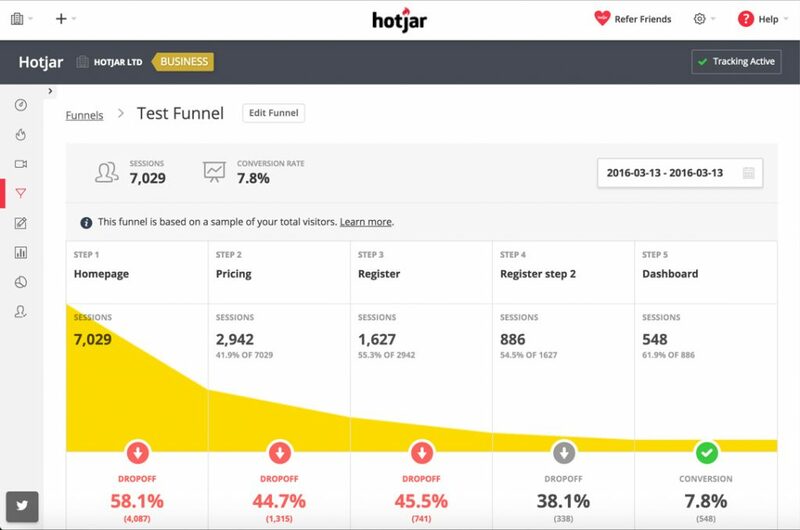 By using Hotjar Funnel analysis, a funnel is created and Hotjar will automatically start collecting data. The results of the funnel can be viewed once enough data has been processed. By viewing the funnel you can spot the pages which have the ‘drop-off’ and improve them. The image below displays the dropoff rate of a funnel. The feedback poll has several options – such as selecting the behavior of the poll (should it display when user scrolls). 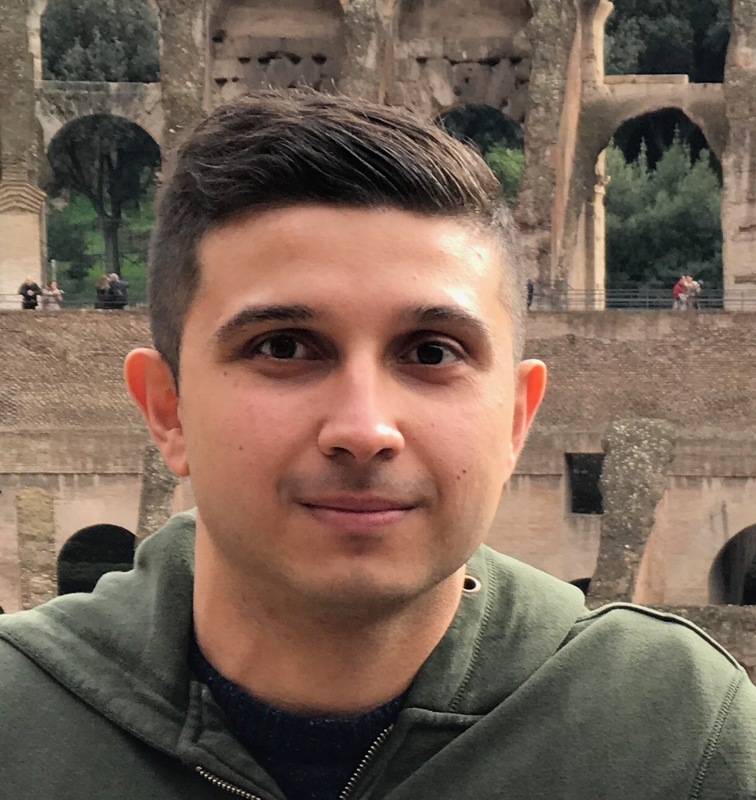 Use the FREE plan to learn more about Hotjar. It is a must-use service! Hotjar provides 3 plans depending on your needs. If your website gets very few visitors per day subscribe to the FREE plan. If it receives a decent amount of traffic subscribe to the PLUS plan. BASIC (FREE). The free plan records up to 2,000 pages views/day. Three heatmaps, funnels polls, and surveys can be collected. The plan also allows up to 300 user recordings. You can record more by resetting it manually. PLUS ($29 per month). 10,000 pages views a day with unlimited recordings. It stores data up to 6 months. BUSINESS ($89 per month). Between 20,000 and 2 million pageviews per day. Unlimited records. It saves data up to one year. Can I exclude IP addresses? You could block IP addresses by going to the Account -> IP Blocking section. Does Hotjar records mobile interactions? Yes, it does ! Hotjar records interactions across all devices. How can I optimize my website with Hotjar? 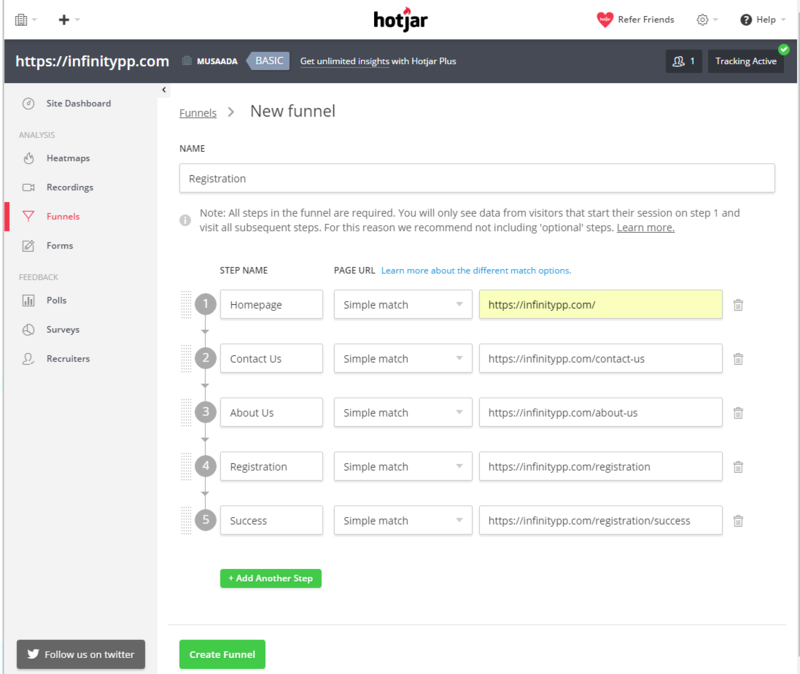 Hotjar provides insights on how your users interact with your site. We recommend creating heatmaps for the key pages of your website and a funnel. Make sure your recording is always running. View your user recordings to find out how you could improve their interaction with your website. Is there a Hotjar WordPress plugin? Yes, there is! With the use of the plugin, you could easily add Hotjar script code to your site. How can SEMrush help your startup SEO grow and increase leads?